We all like to think of fun times at the park. A blanket to sit on, the kids playing and the warm sunshine. 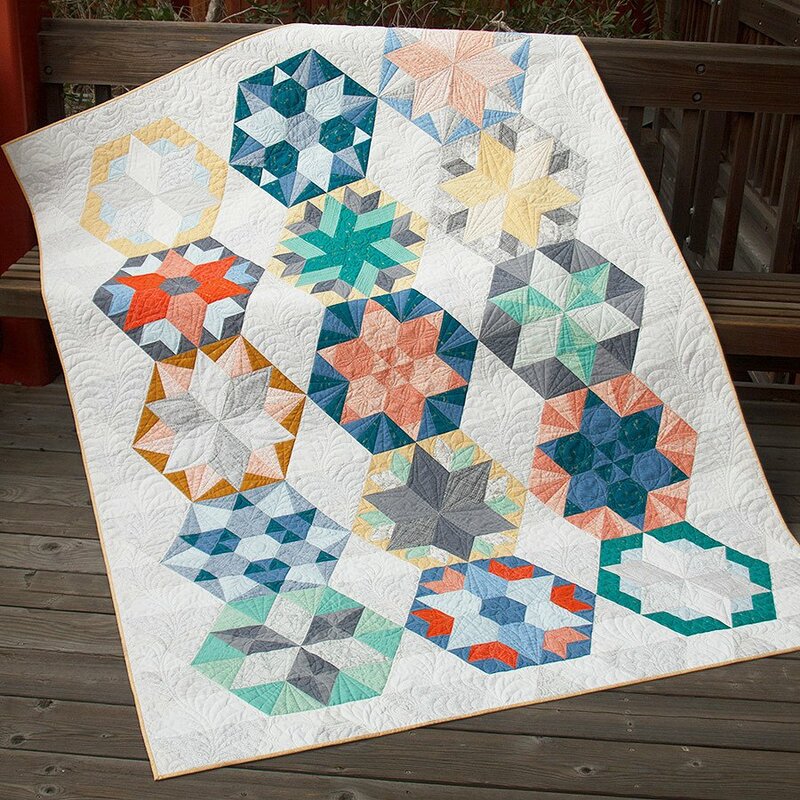 This quilt is designed for just that. Use two rulers to help make these fun geometric blocks. Rulers help us expand our abilities and creations. This quilt is 65" x 88" Come join the fun!